Maid Agency Singapore: New Maid VS Transfer Maid: Which Is Better? New Maid VS Transfer Maid: Which Is Better? In Singapore, lots of agencies offer both transfer maids and new maids. However, before knowing which is better, you must understand the difference between new maids and transfer maids. The former are helpers from overseas. They come in Singapore for work for the first time. After getting some experience, they are transferred from their current employer to another employer. These types of maids are known as transfer maids. In a simple meaning, new maids are new to Singapore. However, they may have work experience in their home country. But, transfer maids have work experience in their home country as well as in Singapore. Therefore, the employer will get clear information regarding the employment history, character and working pattern of a transfer maid. So, which is better, a transfer maid or a new maid? When you come across this question, you must consider certain factors. It is not good to reach in a pre-judgment. As mentioned earlier, new maids will not have working experience in Singapore. But, they have experience in their home country. They may also have undergone training from a training center. You can interview her over the webcam or phone. You can also collect feedback from her trainer as well. Transfer maids will have adequate work experience in Singapore. You will also get an opportunity to interview these types of maids in person. Besides, you will also get the employment history of a transfer maid very easily. Giving employment history of transfer maid is the responsibility of a maid agency. This is one of the major requirements of the MOM (Ministry of Manpower). You can screen and match transfer maids in a better way because you can meet them in person and can check their employment history. This is helpful for you to gauge the efficiency and work performance of a maid. If the helper has a job hopping employment history, it is not good to select such a person. As per the new regulations in Singapore, the maids should be provided weekly rest days. This may lead them to mix with bad companies. On the other hand, the new maids will not have fixed routine on weekends. So, they may spend their rest days wondering around. But, transfer maids will have a few years of experience in Singapore. So, they may have a routine, such as going to church, meeting friends, going for courses, etc. However, employers can select to compensate the maids instead of giving them off days. But, it depends on the agreement of girls. 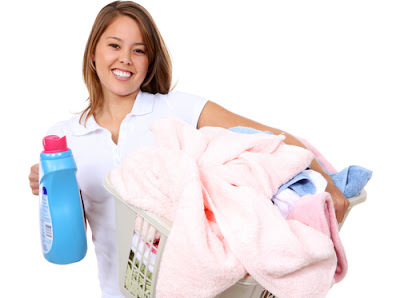 Before selecting a transfer maid or new maid, you should also consider the maid agency that provides the service. While hiring new maids, the employers normally know only the name of agency in Singapore servicing them. The employers may not have any idea regarding the overseas agencies that supply maids to the local agency. Singapore is a small market compared to the markets in other countries. 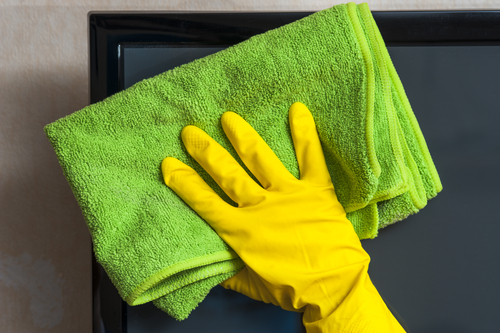 The agencies in Singapore need to follow lots of rules and regulations while providing home maids. Moreover, the salary of maid in Singapore is also very low compared to the maid’s salary in Taiwan, Hong Kong and Saudi. Singapore is not a great market for maids. But still, lots of agencies are servicing in this country. An agency boss is always ready to replace his maids because of two major reasons. Lots of employers prefer to hire new maids frequently. When the employer multiplies his sales, the agency will also get money in the form of commission. The transfer maids need to pay transfer fees to the agencies. The employers who employ transfer maids should also pay money to the agency. In such a way, the sales can be multiplied by simply transferring maids. Singapore is a tougher place for new maids. It has become a stamping and training ground for new maids. Here, the maid agencies re-export new maids to the other countries as 'ex-Singapore' maids. If the agency can do more replacements, it can make more money. The demands for new maids are very less compared to transfer maids with few years of experience. Besides, transfer maids have to lose more if their jobs do not work well. The transfer helpers have lots of experience in Singapore and their families expect their monthly income for household expenses, needs of children and their schooling, etc. New Maids are new to Singapore and they are prepared to go back to their home country if the situation is not favorable. They are coming in Singapore with a 'try it out' mentality. Some parents in Singapore prefer to get more hands-on with their home and children. But, some other families need help from a dependable and competent maid. You can hire a full time maid in Singapore in two ways, directly employ a transfer maid or from an agency. Hiring a new maid is highly expensive. Therefore, most parents try to manage everything themselves. However, hiring a maid is the only option for working parents. In Singapore, you can hire transfer maids directly from the current employer. If you want the help of an agency to do the paperwork, you need not pay the full fee. The fee for transferring a maid is around $500. Employing transfer maid is a trend in Singapore. Here are some other reasons behind the hiring of transfer maids in Singapore. • Employers can interview maids and check the efficiency, skill, work ethic and experience of the maid. • The lifestyle and language of Singaporeans is not a shock for the transfer maid because she is residing in Singapore for quite some time. Before hiring a transfer maid, you must do some search and ask friends, relatives or co-workers in case their own maids are planning for a transfer. If this search is not fruitful, you can check online. You will get lots of information regarding transfer maids from Singaporean online forums and social media groups. You must check the past employment record of the transfer maid when you conduct interview. Employing a transfer maid is hassle-free and easy. However, all parties involved must be trustworthy and you must obtain all legal documents.